How to copy a trade? Copying other trades is a significant feature for beginner and even expert traders. Without prior trading knowledge it can be difficult to open your own trades, that's why you can copy other traders. 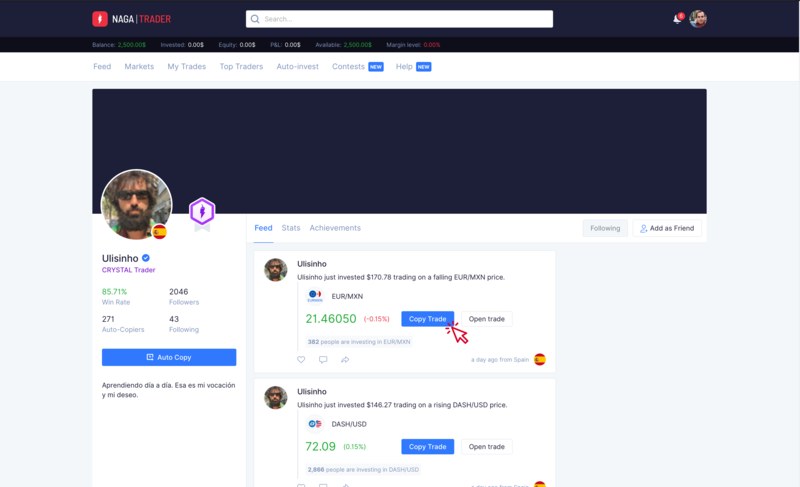 Copy trade feature on NAGA Trader platform allows you to benefit from the experience and knowledge of successful traders by copying their trades. It is a great tool to use both if you have just started trading or you want to improve your trading strategies. The usage of a copy trade has many helpful features. One of the aspects is that you can start earning from the start by copying trades of other more experienced users. In addition, it offers you the opportunity to get to know the strategies and market trends. 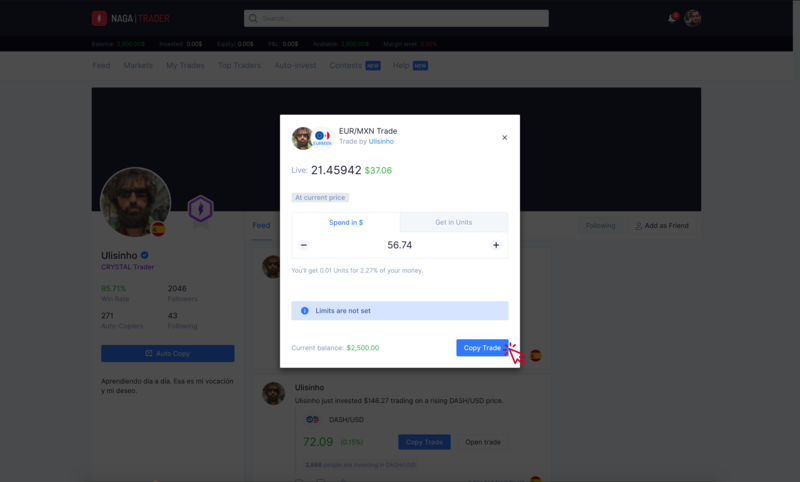 Finally, copy trade feature is simple and can be activated in a few clicks. In the Copy menu, press “Copy Trade” under the trade you liked. Define the amount you want to invest. Confirm your trade by pressing “Copy”.